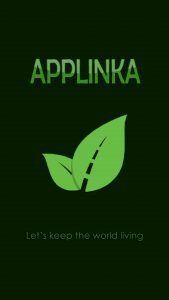 Applinka is a mobile application through which the users can contribute on saving their environment. The main idea is to contribute on reducing the air pollution and other kind of pollution in the nearest area, and beside that living healthier. The users can challenge their friends for certain activities such as: going to school/work by bike, walk instead of driving, recycling certain materials, using public transportation, cleaning a public park, planting trees in public places, etc. 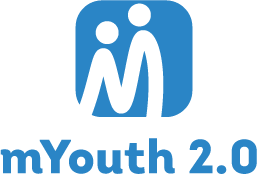 The users will have the chance to send their achivements of the challenges through current pictures or through GPS routes (depending on the challenge). After joining or creating a challenge, the users will have a limited time to complete the challenge and after completing the winner will get the bet’s reward from the other user. This will contribute also in socializing. Except for the personal challenges, in the application there will be also an option for team challenges. 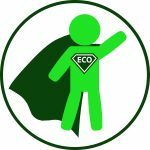 Eco-hero is a environmental self-help app, with a competitive side. It tracks and promotes sustainable habits in a to-do list manner. Everything will be appropriately archived, so that you can track your progress. You’ll have a mapped-out green infrastructure to help you in your adventure. On top of that, you can enter 10-day challenges with friends, such as 10 days without plastic, or 10 days without meat, or maybe ride a bike to work 10 days in a row. We hope to create healthy and sustainable everyday habits for our users and our society. Finally, we’ll use our user’s meta-data to influence our policy makers, as it will show them that the voters really do want better infrastructure, environmental laws and other sustainable steps towards a healthier City, Country and Planet. 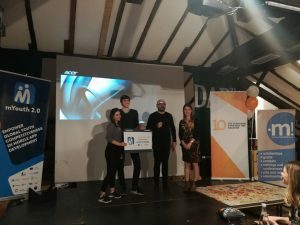 Mobile app for zero waste challenge in order to protect the environment and fight the pollution. With this mobile app you can compete with other users through an interactive platform and create everyday challenges to reduce your personal waste, following the zero waste lifestyle inspired by Bea Johnson.